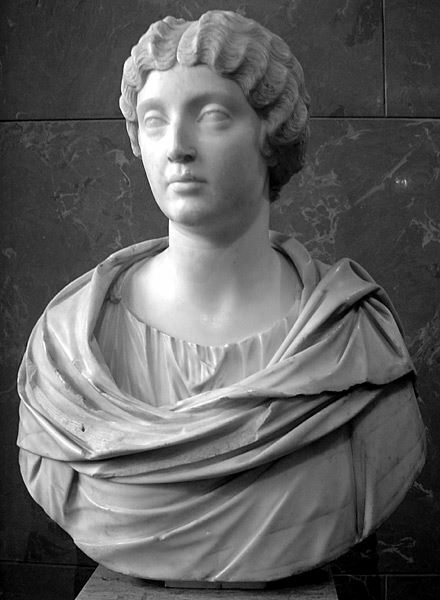 Annia Galeria Faustina Minor was a daughter of Roman Emperor Antoninus Pius and Roman Empress Faustina the Elder. She was a Roman Empress and wife to her maternal cousin Roman Emperor Marcus Aurelius. Not much has survived about her life, but the Augustan History mentions adultery with sailors, gladiators, and men of rank; however, Faustina and Aurelius seem to have been very close and mutually devoted.